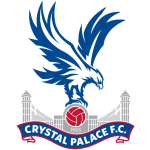 Crystal Palace vs Leicester predictions for Saturday’s Premier League clash at Selhurst Park. Crystal Palace hope to avoid dropping into the Premier League relegation zone when they face Leicester on Saturday. Read on for all our free predictions and betting tips. Dean Goddard from Free Super Tips covers our Crystal Palace vs Leicester City predictions and betting tips in the video preview below. Things continue to get worse for Crystal Palace, and their 2-0 win over Fulham on the opening weekend of the Premier League season seems an awful long time ago now. Since that summer afternoon The Eagles have won just 2 more games in the top flight and have seen themselves plummet down the table, despite the optimistic outlook on life back in the summer break. Last weekend they took the lead against the inconsistent West Ham and held on to it until half-time, but they completely collapsed after the break and ended up losing 3-2 at the London Stadium. This makes it 1 win, 3 draws, and 7 defeats from their last 11 Premier League outings, pushing them down to 16th in the table and just 2 points clear of the relegation zone. Roy Hodgson will feel like he has a chance when they host Leicester though, because the visiting Foxes aren’t in the best shape at the moment either. Leicester lost at home to Spurs last weekend, and they have only won 2 of their last 9 games in the Premier League. This hasn’t been enough to push them out of the top half of the table yet, but unless Claude Puel turns things around soon, they could find their race for the Europa League spots getting away from them. Leicester’s problem hasn’t been losing games, but more that they can’t seem to find that edge to win them. 4 of their last 7 league games have ended in defeat, including matches against the struggling Burnley and Fulham. Away from home they have seen their last 2 matches end in stalemates, and with The Eagles drawing 2 of their last 5 home matches, we could well be in for a tight match on Saturday. All things considered, we think backing the Draw looks the most valuable outcome on Saturday. 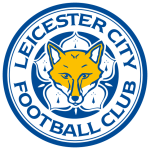 Leicester have been the draw specialists of the Premier League recently, and while Crystal Palace are seeing marginal improvements, they will still struggle against the superior quality of their visitors. We’re backing that, along with a 1-1 correct score predictions. Leicester City haven’t lost three consecutive games without scoring against an opponent in the Premier League since April 2002 (six in a row against Manchester United). Crystal Palace have lost 10 of their 16 Premier League games this season, only Fulham have lost more (11). Indeed, it’s one more than the Eagles had lost at this stage last season, despite losing their opening seven matches in 2017-18. Crystal Palace are looking to win consecutive home league games for the first time since their final three matches at Selhurst Park in 2017-18. Selhurst Park has seen fewer goals scored than any other Premier League ground this season (12), with Crystal Palace scoring four and conceding eight. Leicester have scored in each of their last nine Premier League away games; only once have they had a longer such run in the competition (12 between January-September 2016). Only Southampton (35) have conceded more away Premier League goals in 2018 than Leicester City (32). Crystal Palace winger Wilfried Zaha has scored in each of his last two Premier League appearances against Leicester, while he’s never previously netted in three consecutive games against a single opponent in the competition.